Review for Provident Metals, Excellent dealer! 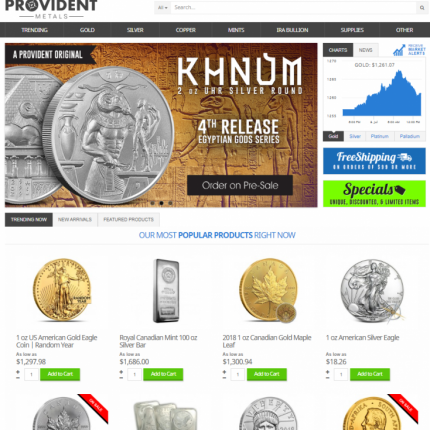 I have recommended provident many times in my place of employment to those seeking precious metals. Always my first choice when shopping personally. Pleasurable buying experience. Fast, discrete shipping. Will surely order again.